The Proteobacteria are a major group (phylum) of bacteria. Proteobacteria include a wide variety of pathogens, such as Escherichia, Salmonella, Vibrio, Helicobacter, and many other notable genera. All proteobacteria are Gram-negative, with an outer membrane mainly composed of lipopolysaccharides. The divisions of the proteobacteria include: Alphaproteobacteria, Betaproteobacteria, Gammaproteobacteria, Deltaproteobacteria, Epsilonproteobacteria and Zetaproteobacteria. 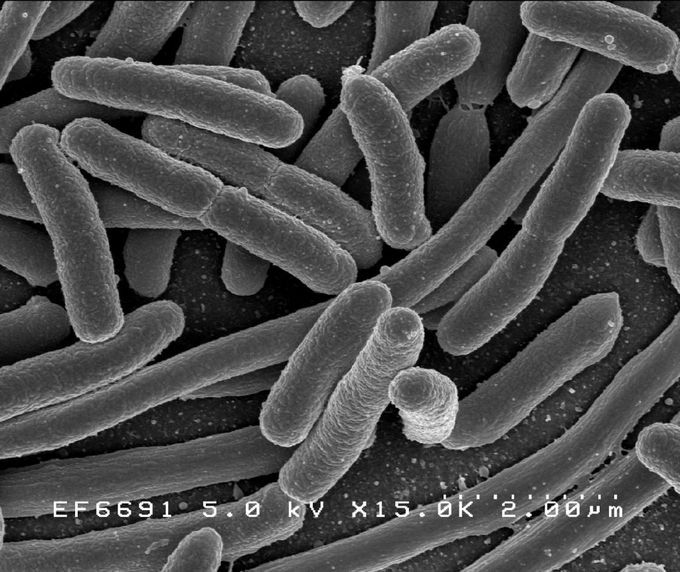 Proteobacteria: The Proteobacteria are a major group (phylum) of bacteria. They include a wide variety of pathogens, such as Escherichia, Salmonella, Vibrio, Helicobacter, and many other notable genera. Others are free-living, and include many of the bacteria responsible for nitrogen fixation. The Proteobacteria are a major group (phylum) of bacteria. They include a wide variety of pathogens, such as Escherichia, Salmonella, Vibrio, Helicobacter, and many other notable genera. Others are free-living, and include many of the bacteria responsible for nitrogen fixation. In 1987, Carl Woese established this grouping, and informally called it the “purple bacteria and their relatives”. Because of the great diversity of forms found in this group, the Proteobacteria are named after Proteus, a Greek god of the sea, capable of assuming many different shapes, and it is therefore not named after the genus Proteus. All proteobacteria are Gram-negative, with an outer membrane mainly composed of lipopolysaccharides. Many move about using flagella, but some are nonmotile or rely on bacterial gliding. The last include the myxobacteria, a unique group of bacteria that can aggregate to form multicellular fruiting bodies. There is also a wide variety in the types of metabolism. Most members are facultatively or obligately anaerobic, chemoautotrophs, and heterotrophic, but there are numerous exceptions. A variety of genera, which are not closely related to each other, convert energy from light through photosynthesis. These are called purple bacteria, referring to their mostly reddish pigmentation. The group is defined primarily in terms of ribosomal RNA (rRNA) sequences. The Proteobacteria are divided into six sections, referred to by the Greek letters alpha through zeta, again based on rRNA sequences. These are often treated as classes. The alpha, beta, delta, epsilon sections are monophyletic, but the Gammaproteobacteria due to the Acidithiobacillus genus is paraphyletic to Betaproteobacteria, according to multigenome alignment studies, which if done correctly are more precise than 16S (note that Mariprofundus ferrooxydans sole member of the Zetaproteobacteria was previously misclassified on NCBI taxonomy). Acidithiobacillus contains 5 species and the sole genus in its order Acidithiobacillales. The divisions of the proteobacteria were once regarded as subclasses (e.g. α-subclass of the Proteobacteria), but are now regarded as classes (e.g. the Alphaproteobacteria). These classes include: Alphaproteobacteria, Betaproteobacteria, Gammaproteobacteria, Deltaproteobacteria, Epsilonproteobacteria and Zetaproteobacteria.